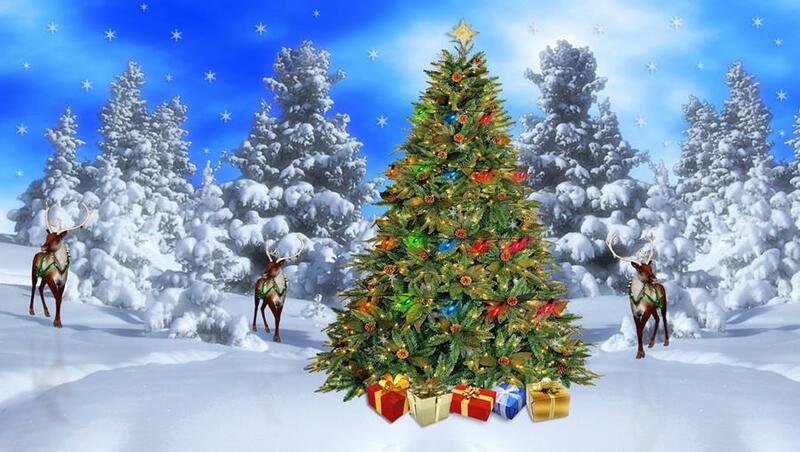 I would like to take this opportunity to wish you all a merry Happy Christmas and a happy New Year. I am sure that we will look back on 2016 and see it as one of the most challenging years for general practice. For all of us, it has questioned whether things will continue to get more demanding with an ever growing workload and therefore managing the working day unsustainable or whether there is light at the end of the tunnel and we might just be turning the corner. In China, 2017 will be the year of the Rooster - which symbolises such character traits as confidence, pompousness and motivation. In England 2017 it will be the year of the general practitioner - who symbolises a profession that is patient centred, delivers continuity of care, meets the holistic needs of patients, provides and co-ordinates services at the level of a practice registered population, is flexible and is able to deliver high quality care albeit with an wholly inadequate budget. As you all know to make general practice sustainable we need to resolved the recruitment and retention crisis and ensure there are more resources to support the ageing population and the growing workload with the explosion of people with one or more long terms conditions. The early indication are that the GP trainee recruitment numbers are up after a successful national recruitment campaign, it is hoped that this will reverse the trend of last year where we saw a significant number of places remain unfilled nationally (Wessex did managed to fill most places but only after 3 rounds of recruitment). Although many would say that all the STPs (Sustainability and Transformations Plans) are focused on money rather than patient care and are largely being led by and relevant only to hospitals (as the hospitals seem to Chair and dominate most STPs), locally the current fragility of general practice is well recognised. There are early signs that there is a far greater understanding from hospitals, Community Trusts and NHS England as to the extent of the challenge that general practice faces and without general practice any plans are very unlikely to have any significant impact. We now need to move the discussion on to secure much greater investment in the out of hospital model (which must included general practice). The NHS now spends more on out patient appointments than it does on general practice and some studies show that up to 50% of out patient follow ups are of limited clinical value and could be stopped or delivered in a more cost effective way. There are early signs of things changing in a positive way locally but these need to be accelerated and happen sooner rather than later. This leaflet provides guidance on what to expect when you are referred by your GP to see a Specialist (or therapist). Back by popular demand, another clinical focused local conference aim at what the average GP or practice Nurse wants to know. No apologies for this topic being repeated, if you and your practice are going to survive you need all the help you can get. 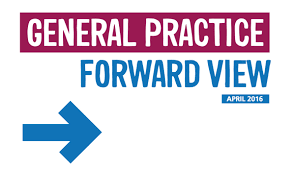 The GP Forward View may not put money directly into your practice but there will be £2.4bn worth of resources available each year - do you know how this can help you? What most GPs ask me when this topic is raised is how does it work, is there any proof it works and can I see it in action or better still talk to a GP who finds it saves time? Read this section and watch the video - it may answer some of these questions! The average practice gets one a week (my practice seems to get far more than this), what can you do and what are your responsibilities? This is one for those interested in IT! With all the publicity around historical child abuse it is understandable why there has been so much focus on Child Safeguarding. The publication in March 2014 of an Intercollegiate Document titled "Safeguarding children and your people: Roles and competencies for health care staff" clarified the knowledge and competencies that would be expected of health care staff. "Safeguarding Adults: Roles and competences for health care staff – Intercollegiate Document"
Are you sure you and your staff have the required skills you need? Have you had a recent update? This week the new Voluntary MCP contract has been published with associated documents to help those who are interested to learn more about GP involvement. The latest newsletter from the GPC. Dr Claire Lehman, a GP from Swanage and a Public Health Trainee joined the LMC in January 2016 to provide maternity cover for Dr Laura Edwards. Claire has proved to be a great asset to the LMC bringing her skills and expertise that she has gained as a GP and also her extensive Public Health knowledge. Her positive "can do" attitude has also helped us at a time when there are ever increasing challenges. I would like to personally thank Claire for all the hard work she has done for the LMC on behalf of the GPs and Practices in Wessex and I wish her well in the future. As she returns to her Public Health Training her first job may well be to engage with the LMC to discuss the Dorset transformation plans. Dr Laura Edwards is returning from her maternity leave in February 2017 and we are looking forward to her rejoining us in the near future. There are a limited number of places available and the conference is open to GPs and Nurses - click here for more information. The detailed agenda is listed below. A General Practice focused conference to consider cardiovascular health across the life course; from diagnosis; early intensive management; to a pragmatic approach for the frail. Back to basics – focusing on delivering good quality holistic care whilst ticking the boxes! This conference will provide seminars and workshops to apply the guidance based in reality of day-to-day General Practice, equipping GPs to optimally deliver holistic care and win at QOF! 15.45 Workshop Sessions: ? 3 Generations of Hypertension: Management of the young, the difficult to treat and the frail elderly with poly pharmacy. ? Achieving Compliance without Complaints: Shared Decision Making in Type 2 diabetes; demonstrating ways of supporting patients & GPs in their decision making. ? Obesity and the Power to Lose Weight: Using the internet to help people to lose weight. Although I am sure every GP has heard of the GP Forward View many would say that they have seen little or no impact yet. Some of the initiatives are already up and running, for example the changes to the NHS Contracts for hospitals to prevent the numerous "hand offs" to general practice. Over that last few months the LMC has written to all local Trusts and have being discussing both implementation and monitoring with CCGs. Remember this should stop hospitals asking GPs to re refer people who DNAed and appointment, to follow up results of tests ordered by hospital and reduce the need for GPs to to be the "go-between" for consultant to consultant referrals. We have a number of practice who have received support via the Vulnerable Practice Scheme and also the Resilience programme. The LMC is regularly meeting representative of NHS England nationally and the Area Team and CCGs locally to ensure the GPFV is not only fully implemented but also the resource invested has the maximum impact. The CCGs all have to submit plans for implementing the GPFV by the 23rd December. The LMC has requested details of these plans and will compare what our CCGs are planning to do. 1. Transformation support – the ?171m or ?3/pt to be invested in 2017/8 and 2018/9 is designed to be used to stimulate development of at scale providers for improved access, stimulate implementation of the 10 high impact actions to free up GP time, and secure sustainability of general practice. 2. The purchasing of online consultation systems – the ?45m being made available over the next 3 years. 3. Training for care navigators and medical assistants for all practices - ?10 million will be available in 2017/8 and 2018/9. 4. GP resilience programme – a number of practices have been identified and allocated funding for 2016/7 but the focus now shifts to the investment for 2017/8. 5. Improving access to primary care - The Prime Minister's Challenge Fund site are going to continue to receive ?6/wt patients in 2017/8 and in addition the 18 transformation zones will also receive the same funding. Other areas will receive ?3.34 per wt patient from 2018/9 to allow the area to develop plans for improved access. So by 2019/20 all practices will receive this funding. 6. Estates and Transformation Fund (formerly the Primary Care Transformation Fund) - this fund of about £900m has committed funds within Wessex included some new premises and also investment in technology. 7. Increased investment into general practice - CCGs are expected to increase funding to general practice at a level that is not less than the increase in core allocation to the CCG. We are seeking clarification of what the CCG's plans are. How does the CCG plan to ensure there is sustainable general practice locally? What are you doing to invest in transformation into the delivery of the New Models of Care? How will this plans fit with your primary care strategy and with the overall Sustainability and Transformation Plan? The LMC has asked - Who is the senior leader in the CCG who has been given the responsibility for the delivery of this programme? The 10 high impact changes - see attached document - or click here to see a short video summary. For a summary see page 52 of the GPFV. There are some excellent examples of simple things that can help practices. I am very privileged to work in Wessex, where we generally have high quality and innovative practices. Whenever I visit a practice I always learn something I can take back to my practice. One thing we are not so good about is sharing these experiences. NHS England are keen to "showcase" real examples of innovation that have made a difference, especially if they are related to the 10 High Impact Changes. Reduced DNAs - easy cancellation, reminders, patient recording, read back, report attendances, reduce "just in case"
Develop the team - minor illness Nurses, Pharmacists, Therapists, Physicians Assistants, Medical Assistants and Paramedics. and I will put you in touch with the national team. In Wessex we have a population of 3,300,000 with over 3000 GPs and 500 practices, we are larger than Wales or Northern Ireland and cover over 6% of the population of England so it would be great to see over 10% of the examples being showcased coming from our area. This funding has been allocated to CCGs and they are required to submit plans as to how this resource will be used. There is a requirement that CCGs consult with their member practice on the delivery of this programme, we are working with the CCGs to ensure this happens. The CCGs have been asked to include a workforce strategy plan for their local health system that links to their service redesign plans. This should include information about the current position, areas of stress, examples of innovative practices and the planned future model and how to get there. The LMC has not only asked to see this plan but would like tower with the CCGs to ensure the maximum benefit for general practice. As I am sure you can see with 12 CCGs to cover there is a lot of work for your LMC to undertaken on your behalf in the next few weeks and months. The workload of a GP can be measured by surgery consultations and home visits but this excludes other important methods such as telephone consultations and more recently online consultations. To help reduce demand and regain control of our workload we need patients to be able to access reliable help to self manage their condition and sign post patients to other services where help can be provided and the person does not need to consult with a GP. All practices find the greatest pressure on their phone lines is between 8am and 10am. Online consultation can help reduce this pressure and it can save time for the GP. You can complete 2-3 e-Consultations in the time it takes to undertake one face to face consultation. E-Consultation is now available in over 75% of practices in Hampshire. Some have purchased this themselves to help meet demand and many have had this funded through the Hampshire MCP. 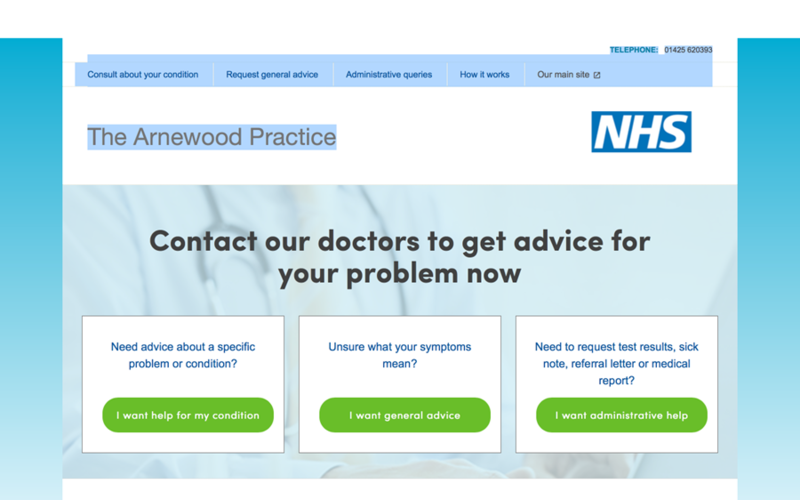 The GP Forward View has committed to invest £45m to stimulate the uptake Online Consultations for every practice in England. In this short video, Dr Tom Bertram, GP from Jubilee Surgery, Titchfield, Hampshire talks about eConsult and the benefits his surgery have had using it - click here. If you want to see a Demo version - click here. E-Consult is not the only provider of this service but is the one that is most used locally. This is an recurring problem for general practice. Patient phones up your practice requesting an appointment to sort out their dental abscess or requesting stronger painkillers for their dental pain. They have tried their dentist but they have to wait 3 weeks for an appointment. Can this be true? Are they coming to you because if they see their dentist it will cost them and of course are appointments are free? The other problems is how do you know it is a dental abscess until you have seen it? Occasionally there other more serious causes of swelling in the mouth. General dental practitioners have an ethical responsibility to provide reasonable access to advice and emergency treatment for their patients, including those who are seen under a private contract. An ethical responsibility is different from a contractural one. A dentist’s immediate responsibility for in-hours urgent dental care applies to patients who are currently undergoing or have recently completed a course of dental treatment with them. This may therefore exclude many patients who present and have not received recent treatment. Before refusing to treat a patient asking for emergency dental treatment, a GP must ascertain that the condition requires only dental treatment. Primary care teams must put themselves in a position to judge the nature of the patient's condition by undertaking reasonable enquiries and where appropriate a clinical assessment. Having established an apparent dental problem, GPs or practice teams should signpost to a dentist or local emergency service or if they feel necessary refer a patient for any further assessment and treatment, to secondary care. Everyone in the practice team must do their best to ensure the patient doesn’t need the attention of a GP when signposting. If the patient has no usual dentist, or there is no response from the usual dentist, the patient should contact the local NHS 111. Patients presenting with signs of spreading infection or systemic involvement of a dental infection should be referred immediately to secondary care for appropriate surgical management. Signs and symptoms of this may include, diffuse or severe facial swelling, trismus, dysphagia, fever or malaise. The BMA has recently produced some useful guidance - click here. One of the many advantages of working for Wessex LMCs is that because we cover a large and diverse area we work with a huge range of people who have a wide variety of interests. Over the last few years I have worked quite closely with a local GP and IT Expert Dr Amir Mehrkar who has now joined Orion Health as their Chief Clinical Information Officer. For anyone who might be interested there is a conference taking place in March 2017 - see attached for further information. With all the publicity around historical child abuse it is understandable why there has been so much focus on Child Safeguarding. The publication in March 2014 of an Intercollegiate Document titled " Safeguarding children and your people: Roles and competencies for health care staff" clarified the knowledge and competencies that would be expect of health care staff. "Safeguarding Adults: Roles and competences for health care staff – Intercollegiate Document". Click here to see full document. This document sets out the level of knowledge and train that would be expected of Receptionists, Practice Nurses and GPs. How much do you and your staff understand about the assessment and implications for mental capacity, of Deprivation of Liberty (DOLS)? What would you do if you suspected a patients had been a subject of female genital mutilation (FGM)? These events are two parts - the morning is focused on adult safeguarding and the afternoon covers basic life support. Having looked at the booking it would appear that all the places have been taken. If you are interested in a further course - email louise.greenwood@wessexlmcs.org.uk and if the demand is there the LMC will try to put on additional courses.